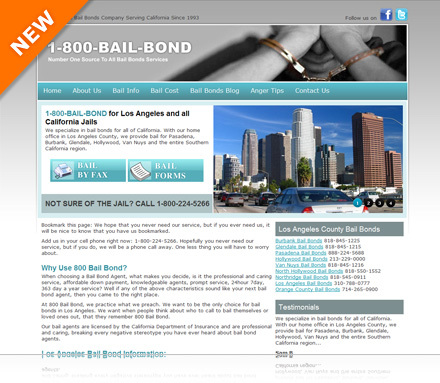 Bail info, news and tips from a Los Angeles bail bonds company. Thank you for taking the time to visit our website and in particular our blog. We are here to inform you about the latest articles, information, news stories and provide you with overall bail bond industry information. There are few things that we would like to convey to our visitors. © 2012 my1800bailbond.com | All Rights Reserved.